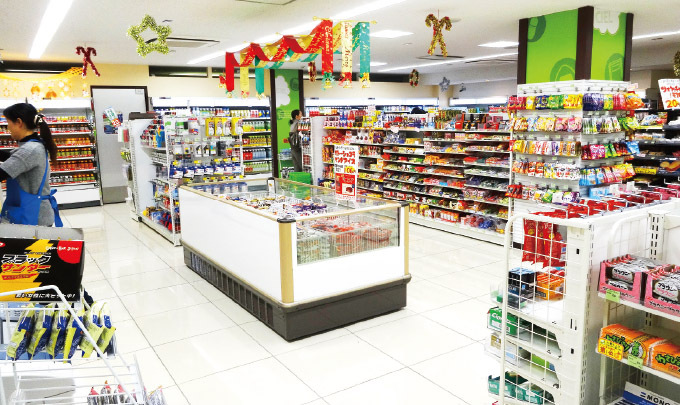 We lined up a variety of goods to make is easier for members to see, ranging from stationery, sweets, ice cream, drink and lunch boxes. 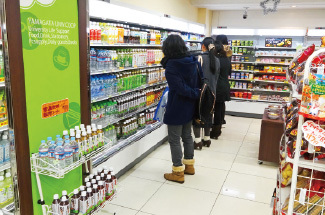 The number of customers increased by 10% compared with that of before renovation. Ciel is crowded with students. 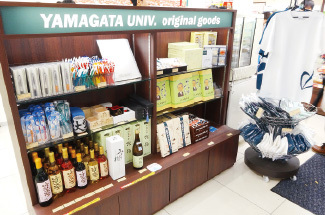 One of the features of Yamagata University is that it has multiple campuses. In Yamagata City, there is Kojirakawa Campus, where Faculty of Science, Faculty of Literature and Social Sciences, Faculty of Education, Art and Science are located (as well as first year students from all faculties). In Iida Campus (also in Yamagata City) there is School of Medicine. In Yonezawa City there is Faculty of Engineering, and in Tsuruoka City there is Faculty of Agriculture. 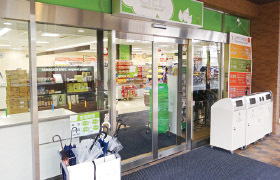 The co-op convenience store in Kojirakawa Campus (where most of the students attend) was renovated after 10 years and reopened on January 14, 2014. The store is named Ciel after we introduced a contest to decide its name. “Ciel” means blue sky in French, with a desire to make it a store that supports students to spread their wings to other campuses in the same prefecture (all under the same blue sky) and towards the future. 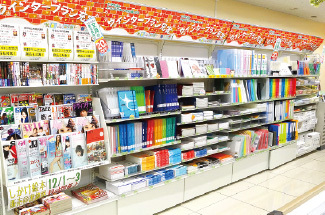 The reason behind this expectation is that because all first-year students would go to Kojirakawa Campus. 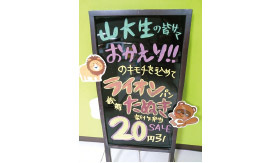 The number of customers exceeds 1,000 people during 11:30 to 13:00. In order to prevent queueing of students, we separated “picking area" to "lining up area," and succeeeded in reducing congestion. Japanese rice crackers Gakucho Sembei is popular for homecoming present. 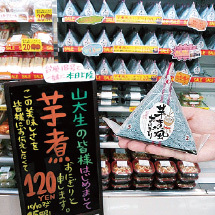 Mail order of sake Kirameki that uses rice cultivated at the Faculty of Agriculture is also popular. We added one cash register, from five before renovation to six. 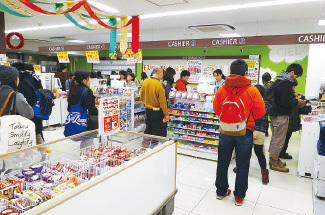 At the lunch peak around 20 minutes, 3-4 cash registers are used especially for those using Co-Pre prepaid cards, which made the rate of payment using IC card soared to 60%. The queue is also shortened compared to that of before renovation. To reduce congestion in lunch time, we created a flow where students would first take meal, followed by drink, then sweets/dessert, and cash register. 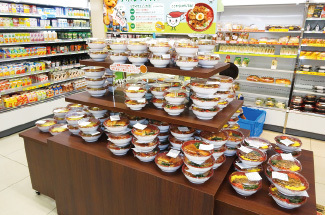 In addition, the shelves of rice balls, lunch boxes and bread are arranged from the back of the store to the exit. We saw a 20% increase in meal sales compared to last year.